The folks over at Yeovil based garage door manufacturer, Garador, have been busy in the run up to Christmas! 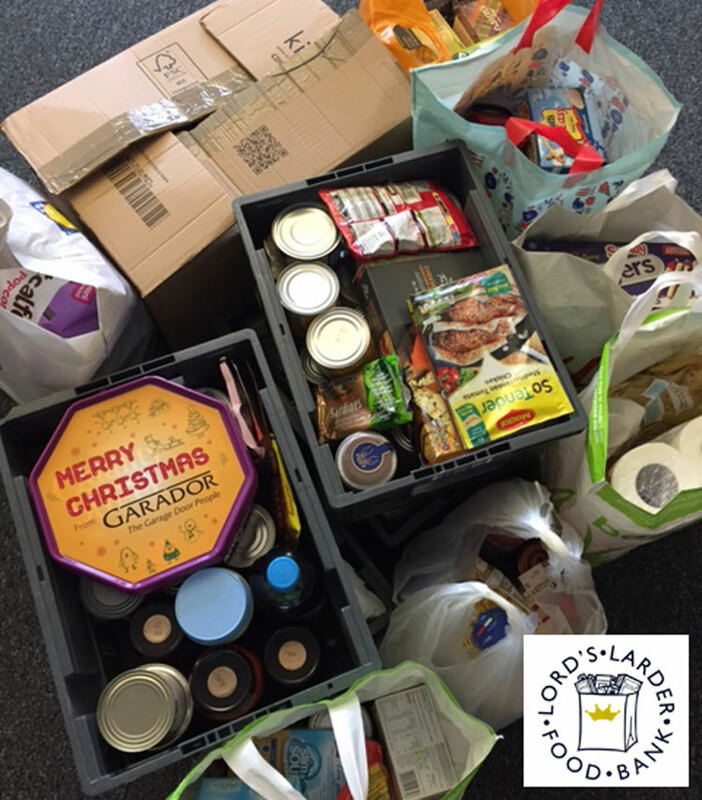 Over the last few weeks, the staff at the company have been setting time aside to support local charitable organisations, with a donation of food to Yeovil food bank, The Lord’s Larder, and a financial donation to St Margaret’s hospice in Yeovil. During November and early December, food donations were gathered from staff across the business. 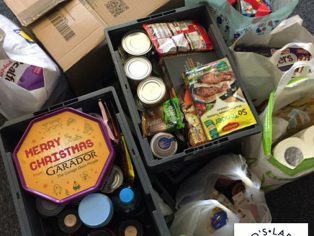 A variety of dried and tinned products were given, including peas, beans, cereals, pastas, tomatoes and much more. 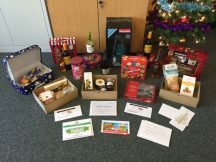 With the food drive over, Garador continued its charitable efforts during early December with a Christmas raffle for Garador staff, Christmas jumper day and a skittles evening with all the proceeds going towards St Margaret’s Hospice in Yeovil, who provide care and support to terminally ill patients and their families. 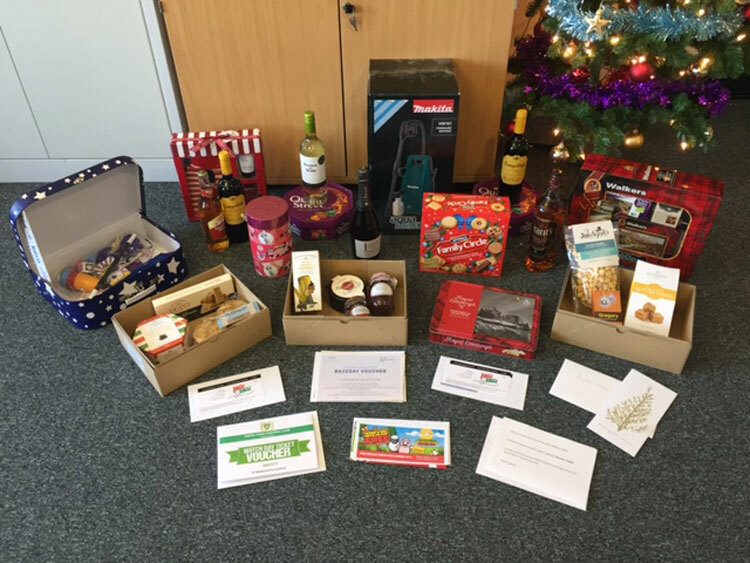 Over £285 was raised from the raffle, Christmas jumper day and skittles evening, with great generosity from the staff at Garador. Local companies donated prizes ranging from chocolates and bottles of wine through to a power washer. Garador would like to thank Yeovil Buildbase, Yeovil Town Football Club, Wincanton Race Course, Jungle Jungle, Falmer Palmers, Yeovil Hobby Craft, The Manor Hotel Yeovil and Brimsmore Garden Centre Yeovil for their generosity for such a worthwhile cause. Please visit www.garador.co.uk to find out more about Garador’s garage doors.